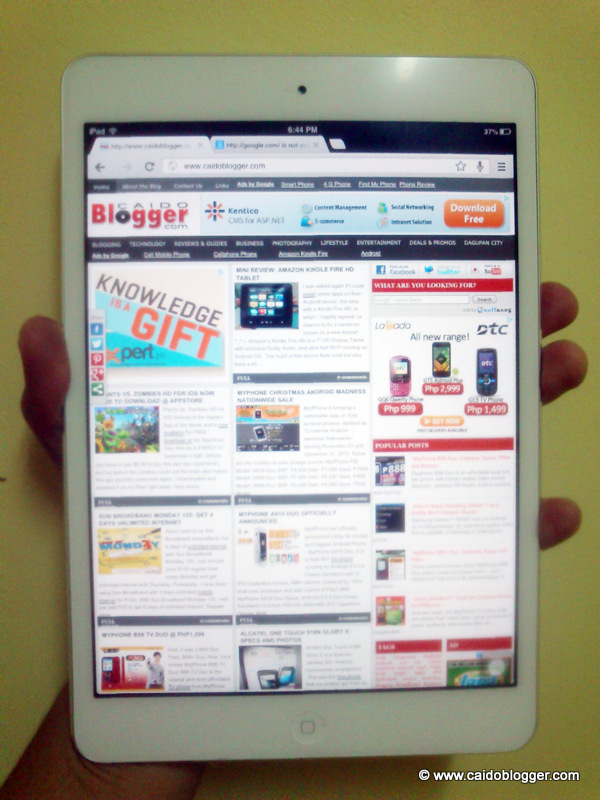 Got a chance again to have a hand-on experience with a new gadget, this time with an Apple iPad Mini. 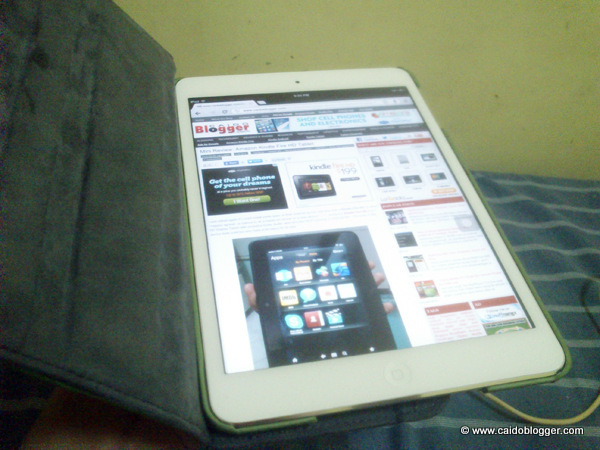 It is like an iPad 2 squeezed into 7.9 inch screen but with better camera and also sleeker and lighter. 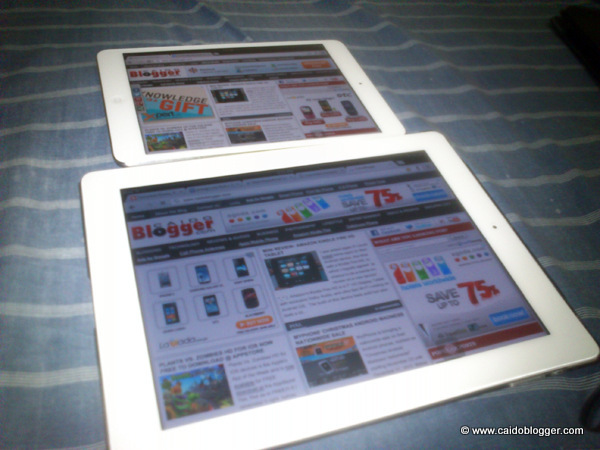 iPad Mini is also cheaper, price starts at P15,990 at the Apple Store. 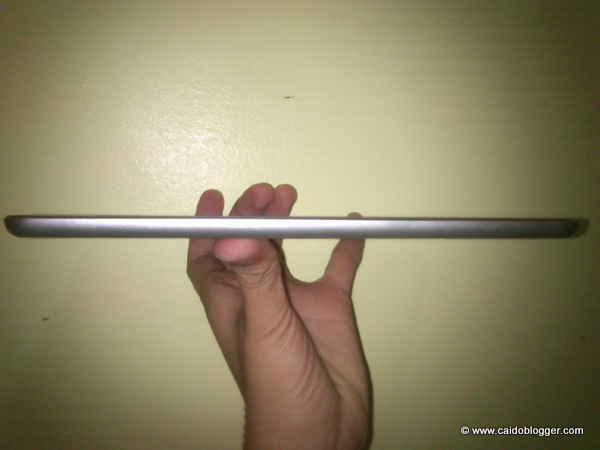 The first time I laid hold of this iPad Mini, I was so much surprised with its lightness and thinness. It's so sleek. I suddenly felt that my iPad 2 is that very heavy. *Haha! 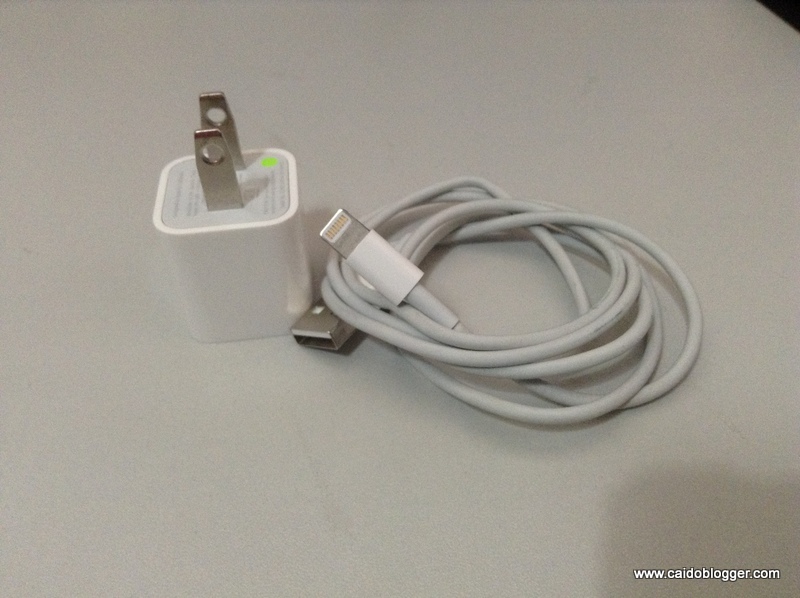 The FaceTime HD camera (front) is 1.2MP while the iSight Camera (rear) is 5MP. 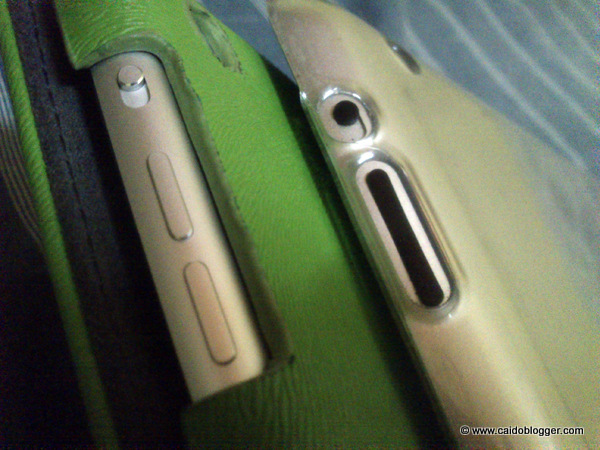 Aside from being lighter than the iPad 2, there's also a difference in the volume buttons. 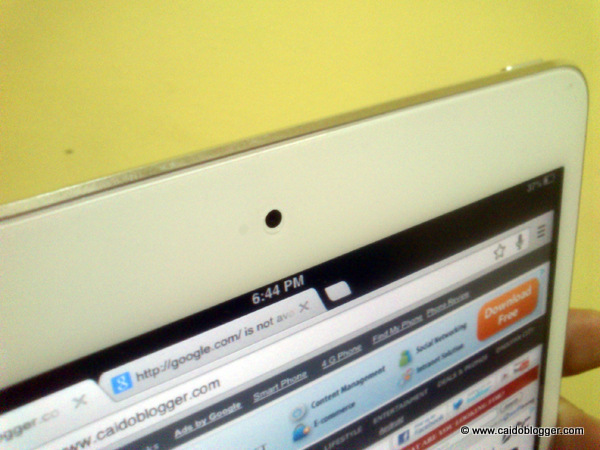 On iPad Mini, the Up Volume and Down Volume buttons are separated. 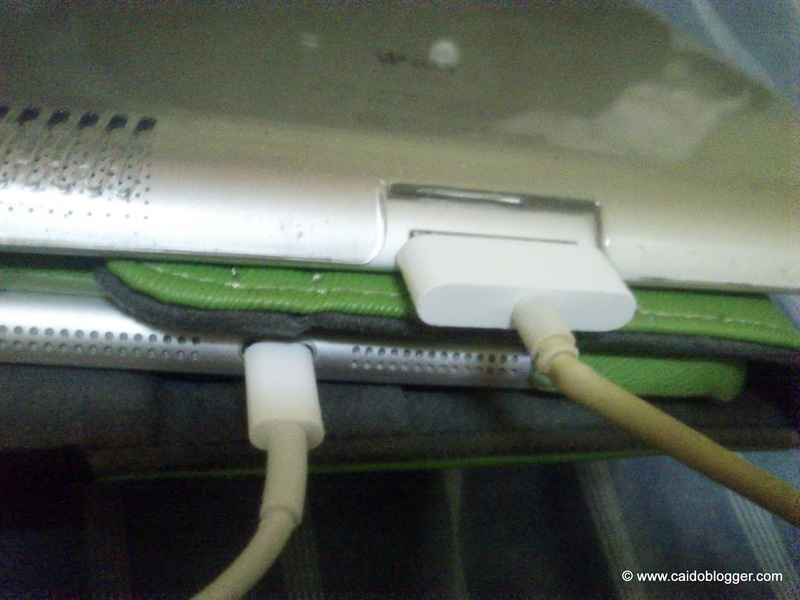 I also liked the lightning connector and the mini charger of iPad Mini, which really matches its lighter and thinner form factor. 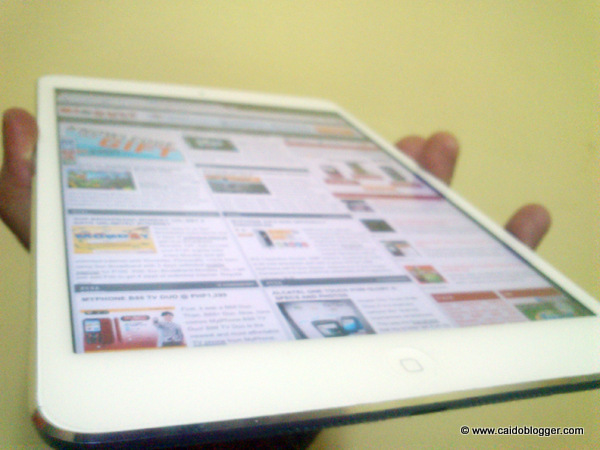 Over-all, what I liked the most about iPad Mini is its lightness. But still, I will not be switching to it and ditch my iPad 2 any time soon. Maybe if there will be a iPad Mini with retina display, I'll start to consider. *Haha!